Are you a SQL admin/developer? Watch the Top 10 sessions from PASS Summit 2015, an annual 3rd party conference for SQL Server, which showcased over 200 technical training sessions by top SQL Server experts from around the globe. 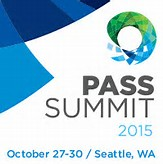 View other selected PASS Summit 2015 sessions free on PASStv. Own the entire set of PASS Summit 2015 session recordings.